One of the best spots on Rush Lake of the Whitefish Chain can be yours. 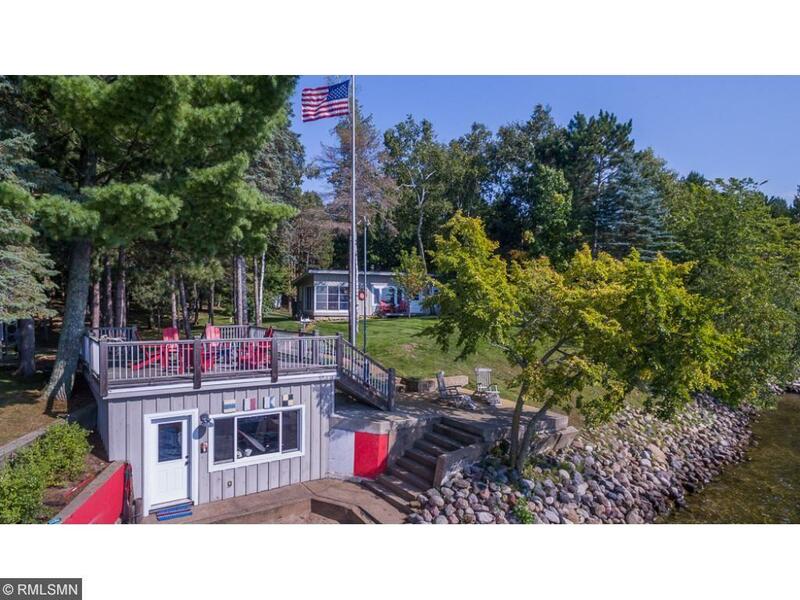 West facing 100 ft lot boasts a one of kind boathouse at the waters edge which has a finished interior and an amazing sitting deck on top so you can take in those summer sunset views. Finished cabin has 2 bedrooms, 1 bath and 960 sq ft. Detached 2 car garage has an unfinished upper level that could be used for storage or easily finished as a recreation or bunk room. Property is minutes from all the Cross Lake amenities.